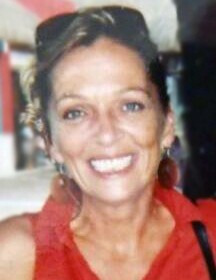 Age 59 of Smyrna, Tennessee and formerly of Wilmington, passed away October 27, 2018 as the result of a motor vehicle accident alongside with her loving daughter Jacquelynn Walters. This tragic incident occurred in Alabaster, Alabama. Born October 24, 1959 in Pontiac, Illinois, Debbie Ann was a daughter of Kenneth Decker and Doris (Donaldson) Smock. She was raised in Wilmington, and graduated from Wilmington High School with the Class of 1977. She worked in the infant room at KinderCare in Darien before relocating to Tennessee, where she gained employment as an office manager at Cedarwood Centers prior to her retirement. During these times of employment Debbie was blessed to gain lifelong relationships with friends that continued to this very day. Debbie in later years took up Tai Chi and also took pleasure in water aerobics. What made her most happy was making others happy, especially her family. Christmas was her favorite time of the year, and she will most be remembered for her positive outlook, kind and generous demeanor and funny sense of humor. She was a wonderful mother, and cherished not only her immediate, but blended family. Survivors include her only son Daniel Pulaski of Smyrna, Tennessee; stepdaughter Debra, whom she thought of as her own, and one brother, Ray Decker. Debbie was preceded in death by her parents; two brothers, Randy and Rick, and two step-children: Nickie and Michael. The family will receive friends for a memorial visitation on Sunday, November 11, 2018 from 2:00 p.m. until the time of memorial service 4:00 p.m. at Baskerville Funeral Home, 700 East Kahler Road in Wilmington. Family and friends may sign the guest book, upload photographs or share Debbie’s memorial page online by logging onto: www.BaskervilleFuneral.com/notices/Debbie-Decker.